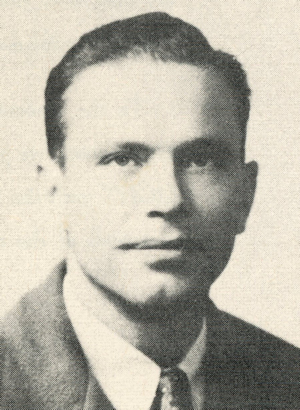 Obituary – Kepley, Byron Ransom « Perry High School Alumni Association, Inc.
Bryon Kepley was born on December 28, 1910 in Nowata, OK, the son of Earl L. and Mollie P. Kepley. 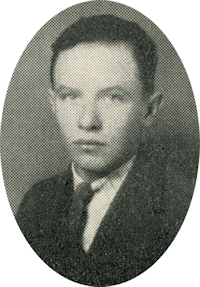 He graduated from Perry high school in 1929 and attended one year of college. Kepley and Nele Rita Barnebey, formerly of Guthrie, were married and lived in Los Angeles, California when he enlisted in the U.S. Army on July 10, 1943. After only 9 months of service as a PFC 165 Inf 27 Inf Div he was killed in the battle of Saipan in the Mariana Islands on June 23, 1944. He was awarded the Bronze Star and the Purple Heart. Kepley was interred in the National Memorial Cemetery of the Pacific in Honolulu, Hawaii. Survivors include his mother, Mrs. Mollie Kepley, Perry, Okla; his wife, Mrs. Nelle Kepley, Compton, Calif.; a sister, Mrs. Dee Treadway, Perry, Okla; two step children, Mrs. Betty Palmer, Compton, Calif. and Lt. Walter Kepley, who is stationed at San Antonio, Tex., with the army air corps.